“And we are constantly adding to and evolving our business,” says company president Barry Freiburger. George Guenzler & Sons knows wood. 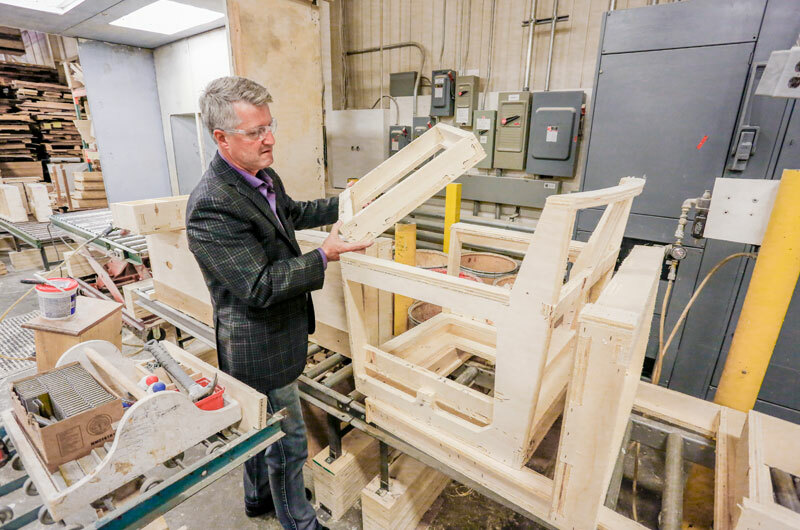 The Kitchener, Ontario-based company has been manufacturing various wood components — from simple dowel pins to high end custom pieces since 1908; and what started out primarily as a small wood-turning shop all those years ago when they were making spigots for Seagram’s — has grown into a multi-million dollar business. Every year, George Guenzler & Sons takes millions of dollars worth of solid wood and transforms it into everything from simple turnings such as knobs and plugs, to stair and railing components and the highest quality furniture and furniture components. Their impressive client list reads like a Who’s Who of small local mom-and-pop shops all the way to fine furniture standouts such as Herman Miller, Knoll, Keilhauer and Steelcase. 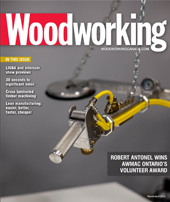 “And we are constantly adding to and evolving our business,” says company president Barry Freiburger, who is proud of the fact that Guenzler & Sons has been providing high quality turned and shaped wood components to the woodworking industry in Canada and North America for more than 100 years. Having experienced two serious recessions and industry downturns since he first joined the company — once in the late ‘80s and early ‘90s and then again in 2009 — Freiburger is determined to continue to diversify and broaden their customer base. No job is too small or too big and Guenzler & Sons has a long history of working with customers in the contract, institutional healthcare, hospitality, kitchen cabinet millwork, office, residential and stair-building industry. Freiburger says they use a combination of the latest, state-of-the-art automated manufacturing technology and old-world craftsmanship to deliver the right product for their clients. The current family ownership started in 1974 when Norbert Englisch, Freiburger’s father-in-law, bought the company. Englisch had his own millwork company, but wanted to branch out and when the opportunity to buy Guenzler & Sons came along, he didn’t hesitate. Freiburger joined the company in 1988. “I married Norbert’s daughter, Nina, and at some point he offered me a career and asked me to join the company. With a smile, Freiburger remembers that he had to take a pay cut when he first started in the family business. But he didn’t stay on the shop floor too long, because just nine months into the job an estimator left and Freiburger got the job. Then, just another four months after that, the sales manager left and Freiburger was ‘promoted’ again. “So I got into sales in what was one of the worst times for furniture manufacturing, ever,” he says in reference to the aforementioned first recession he experienced. “It was a brutal,” he says, remembering how most of their large customers went bankrupt and smaller ones disappeared and thus much of the local furniture manufacturing industry. It was a very difficult time and a huge challenge, but it also taught him that they had to diversify. At the time, Guenzler & Sons was primarily in the wood turning and carved legs business, but Freiburger says they decided then and there that an aggressive drive to diversify operations was key to the company’s future. As part of that diversification, they moved from primarily residential to more institutional work, added custom furniture and furniture parts manufacturing as well as stair component manufacturing and started to seek out larger customers. 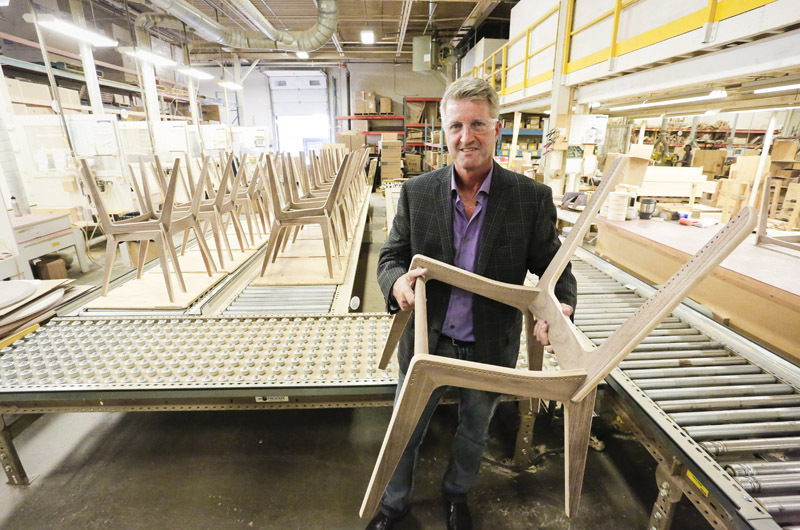 Today the company is one of the largest dowel manufacturers, they are big in furniture components, such as chair frames and custom furniture and their operations now take up a 72,000 sq. ft. manufacturing facility. “Our operation is very diversified now and we are also one of the largest job shops anywhere, but that doesn’t mean we stop here,” Freiburger says. “We have an active client list of more than 400 companies, and I consider it my job, every day, to not only make sure our customers are satisfied, but also to add new ones. “We help companies with the design and manufacturing of new products all the time. Our focus on Lean manufacturing enables us to produce smaller orders with shorter lead times helping them reduce costs and improve quality. Guenzler & Sons ships fully assembled small furniture and components as well as all manner of smaller wood products, from dowels pins, dowel rod, face grain plugs, and stair railing components. 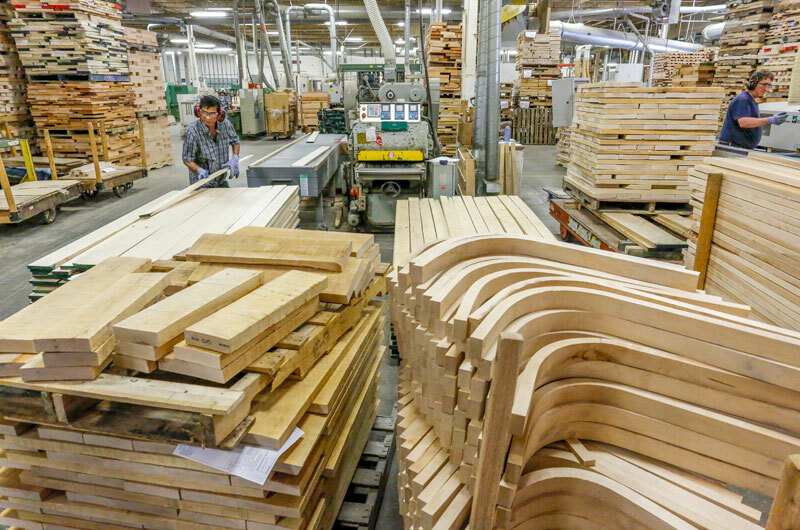 In addition to furniture manufacturers and contractors, Guenzler & Sons also sells through wholesalers with Home Hardware, Richelieu and Lee Valley among their many customers for wood components. Business is good and the company is growing steadily and they’re about to hire more employees to add to the current staff of 60 plus. A few years ago, as part of their diversification efforts, Guenzler & Sons acquired Mastercraft Wood Turnings of Elmira, Ont. one of North America’s premier suppliers of face grain plugs, wooden cabinet knobs, wooden furniture knobs, wooden dowel rods and specialty products. “We’ve successfully integrated those operations into our own and most of the employees have stayed with the company,” Freiburger says. 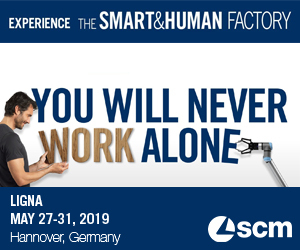 And it looks as though the tradition of family ownership started by Norbert Englisch — who, while officially retired still plays an active part in the company — is set to continue for a third generation. In a funny twist of faith, Freiburger finds himself in a similar position as Norbert Englisch did. You see, Freiburger’s daughter Amanda married Kent Aardse who has now started to work in the company as well. “I did the same thing Norbert did for me, I offered him a job,” Freiburger says with a smile. “He did,” says Aardse, also smiling. Having just completed his PhD when the offer came, he and his wife took some time to talk things over, a career in academia or the family business and, well, you know the rest of the story. So now it’s three generations working in the family business. Freiburger’s wife Nina is not only co-owner of the business, but she also works in the office handling payroll and group benefits administration. And their daughter Amanda manually updates their software system calculating team productivity and invoicing all completed jobs. And just like Freiburger, Aardse had to learn by doing in the shop. In January he moved to the office where he is looking after production planning and working with the team on scheduling and order tracking. Guenzler & Sons ships orders daily, across Canada and into the U.S. In fact about 30 per cent of their business is south of the border. “We have a lot of repeat customers and we ship to them on a regular basis. Some monthly or weekly, some even daily, and others whenever they call us for more product. In fact, that impressive and broad customer mix is the result of company diversification. “You could look at it as having advantages and disadvantages,” Freiburger says. “On the one hand it means growth is slow and steady, so if you want dramatic growth there is probably another way of doing it. But we made the decision that we want to be diversified so that if our largest customers go away, we’re still in business. Freiburger says the success of the company is the result of having a fantastic team in the plant. A team that cares about excellence and a team that works well together. They have also built their own ERP system and automated production where they can, using the latest technology where applicable.